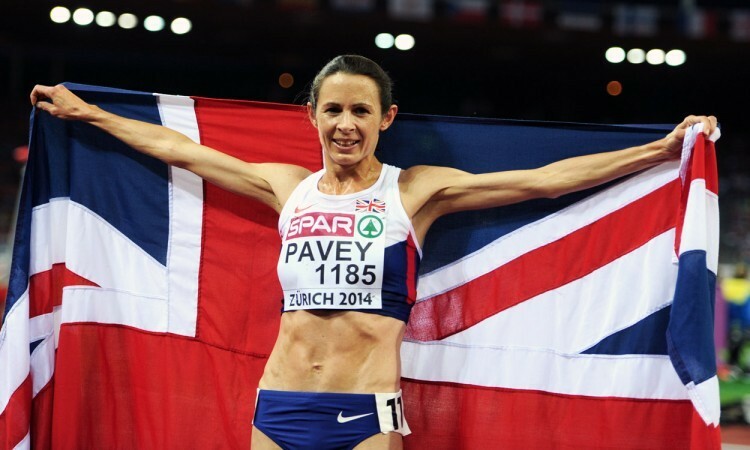 For Jo Pavey, it seems, there’s always a reason to keep going. She will be just shy of her 45th birthday when the women’s 10,000m takes place at the European Championships in Berlin next August, but that is certainly not putting an end to any thoughts of an attempt at regaining the title she won so memorably back in 2014. The extent of Pavey’s natural enthusiasm, the depth of love for what she does, is seemingly limitless and, though her body may have let her down on occasion this year, optimism abounds when you speak to this athlete who has crammed just about every experience imaginable into a lengthy career which she doesn’t intend to end any time soon. The combination of putting her young family first – she’s a mother of two – and the challenge of trying to be fully fit for early spring, ended any idea of making it on to the plane for the Commonwealth Games in Australia. But having a flexibility – to training, scheduling and life in general – has been vital in keeping her, quite literally, on track for so long and instead her focus has been trained on a summer date in Germany. “There’s always a next thing to aim for, and something to look forward towards,” smiles Pavey. “I’m getting older but you get ups and downs. Around June time, I felt younger than I had done for years and things were going a bit better for me. The thing is that you get some years when you feel older but when things are going wrong you can be 26 and feel old! You get years when you feel old and others when you feel young again. Her beloved track has not been particularly kind to her of late and if 2014, which brought Commonwealth bronze and that European title, was a dream then 2017 has been something a little more akin to a nightmare. “I’ve had a frustrating time with injury, really,” she adds. “I’d run a road race in June (New York Mini 10k) and had been pretty pleased with that but, about a week after that, I was doing 400s on the track. I’d done 14 of them and on the 15th one the plantar fascia near my heel tore. Unfortunately for Pavey she didn’t and the setback forced upon her a decision she really hadn’t wanted to make. “That was when I’d said to the selectors not to look at selecting me for the world championships because it was unrealistic. That meant that, rather being right in the thick of things, Pavey instead had a seat on the sidelines watching the spectacular London 2017 action unfold. Yet still she was one of few British athletes to receive a medal at the unforgettable showpiece. Pavey had been denied a podium moment at the 2007 World Championships when she was beaten into fourth place by Turkey’s Elvan Abeylegesse, who was retrospectively disqualified after being found guilty of doping. It may have taken 10 years, but the Briton finally got her hands on the bronze medal to which she had been entitled in front of a home crowd which also included her two children. As is typical, she found a way to cast a positive light on a situation which had been a source of personal pain. “It was disappointing not to compete at a home games, particularly as I got to take part in London 2012,” she says. “But of course I was very lucky to receive my bronze medal from 2007 and to celebrate that. So, ironically, I did get to go out and receive my medal, albeit 10 years late. “I was very fortunate to be a part of that championships, albeit in a different sort of way. 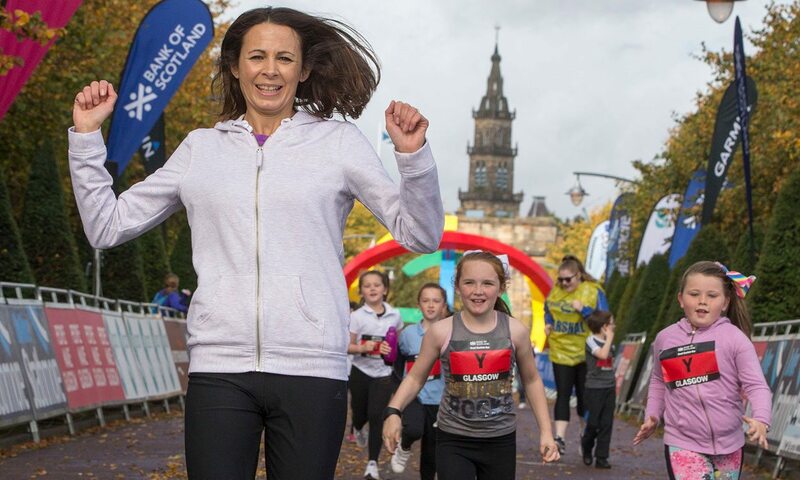 Pavey was finally able to step back into action last month thanks to her participation in the Bank of Scotland Great Scottish Run. The sense of satisfaction in her being able to toe the start line for the half-marathon on the streets of Glasgow was palpable and also understandable, given a preparation which required her to be a little creative. “I’m just really pleased to get back out there racing,” she says. “With my history of being a track runner I normally like to keep in touch with the track and to do track sessions just to know where I’m at. I was determined to keep the track work going but, with the injury, it was causing too much damage and then affecting the rest of the (training) week. “So I’ve just been going to a flat bit of road and just working very hard. I just go up there and race myself – just do half an hour of running like it’s a race. “I do that once a week and then I’ll also go up there and do road reps. I’ve been doing all my training on the roads and on the trails. “I always make sure I’ve got the volume of work done and then any speedwork I get done is a bonus. Yet keep going Pavey does, with the drive coming not just coming from within but also from those younger athletes she finds herself surrounded by. For example it’s a very clear and evident happiness she feels for Charlotte Purdue, who also raced in Glasgow and has impressed many observers with her performances so far in what is a fledgling marathon career – particularly in finishing as top European at the world championships. And are any of Pavey’s younger athletic colleagues now seeking her out for advice, attempting to tap in to her extensive knowledge? Yes they are but, as it turns out, where that’s concerned it’s something of a two-way street. There’s always something to work for, after all. Another reason to keep going.